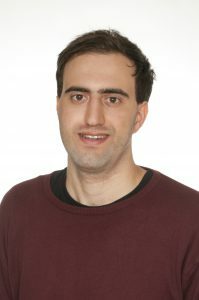 Nikolaos Dionelis is a postgraduate researcher in the Speech and Audio Processing Group, which is part of the Communications and Signal Processing Group, in the Department of Electrical and Electronic Engineering at Imperial College London, London, U.K. He has been awarded with the Engineering and Physical Sciences Research Council (EPSRC) Doctoral Training Award and he is working towards his Ph.D. degree in the Speech and Audio Processing Group at Imperial College London since 2015. He received his M.Eng. degree with First Class Honours in Electrical and Electronic Engineering from Imperial College London in 2015. He completed the International Baccalaureate (IB) Diploma Programme at the Hellenic-American Educational Foundation (HAEF) Athens College – Psychico College, Athens, Greece in 2011. His current research interests include single-channel speech enhancement, speech denoising, speech separation, speech quality and intelligibility improvement, modulation-domain Kalman filtering in noisy and reverberant environments, blind speech dereverberation, speech and audio signal processing, machine learning and signal processing using statistical and probabilistic methods. 1) N. Dionelis and M. Brookes, “Phase-Aware Single-Channel Speech Enhancement with Modulation-Domain Kalman Filtering,” IEEE Transactions on Audio, Speech and Language Processing, Volume 26, Issue 5, May 2018, [Online]. Available: http://dx.doi.org/10.1109/TASLP.2018.2800525. 2) N. Dionelis and M. Brookes, “Modulation-Domain Kalman Filtering for Monaural Blind Speech Denoising and Dereverberation,” Submitted to IEEE Transactions on Audio, Speech and Language Processing, 2018, [Online]. Available: https://arxiv.org/pdf/1807.10236.pdf. 3) N. Dionelis and M. Brookes, “Speech Enhancement Using Kalman Filtering in the Logarithmic Bark Power Spectral Domain,” in Proceedings European Signal Processing Conference (EUSIPCO), Rome, 2018. 4) N. Dionelis and M. Brookes, “Speech enhancement using modulation-domain Kalman filtering with active speech level normalized log-spectrum global priors,” in Proceedings EUSIPCO, Kos, 2017, [Online]. Available: http://ieeexplore.ieee.org/document/8081622/. 5) N. Dionelis and M. Brookes, “Modulation-domain speech enhancement using a Kalman filter with a Bayesian update of speech and noise in the log-spectral domain,” in Proceedings IEEE International Workshop on Hands-free Speech Communication and Microphone Arrays (HSCMA), San Francisco, 2017, [Online]. Available: http://ieeexplore.ieee.org/document/7895572/. 6) N. Dionelis and M. Brookes, “Active speech level estimation in noisy signals with quadrature noise suppression,” in Proceedings EUSIPCO, Budapest, 2016, [Online]. Available: http://ieeexplore.ieee.org/document/7760437/.